Customize Your Spa Menu with Cocoa Butter! Cocoa Butter has been used for centuries by pregnant women to help prevent and reduce stretch marks. This is because it is incredibly moisturizing. When the skin is well hydrated, it maintains its elasticity, and stretching the skin is less likely to leave marks. 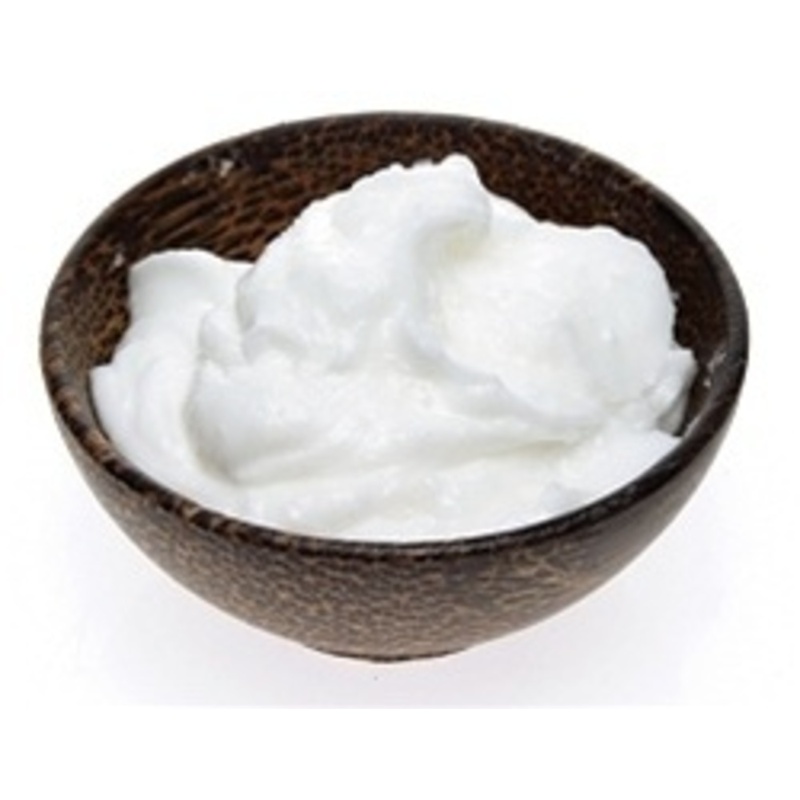 Cocoa Butter also works wonders on minor skin irritations, such as eczema. At room temperature, Spa Pantry's Cocoa Butter is a soft solid, but scooping just a bit into your hands and rubbing them together melts it immediately, and turns it almost into an oil. But not a greasy oil - just slick enough to effectively moisturize whatever body part is feeling dry at the moment! Whip ingredients together in a rubber bowl. Place bowl in hot towel cabi to warm until ready to use. Scrub client's feet and legs using gentle circular motions to increase circulation, tone and tighten skin, and release toxins. 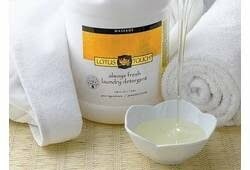 Remove product using warm towels or rinse in pedicure tub. Whip ingredients together in a medium rubber bowl. Place bowl in hot towel cabi or large bowl filled with warm water, so your massage butter is warm when ready to use. Using your Autumn Massage Butter, complete clients' massage using your favorite massage techniques. What is the best way to keep your clients comfortable during treatments and/or massages you ask? Robes from Boca Terry. The shipping crew all noticed how nice they look -- fluffy, thick, heavy. I think they are noticeably nicer than many of the other brands we offer. If I wore a robe, I'd want one of these! I'm not a robe guy though... I'm just a shipping guy! See our great Boca Terry selection HERE! The WET Brush just got HOTTER! Look out Tangles.... there's a new brush in town! The world's favorite de-tangling brush, the WET brush, has just launched a new collection... 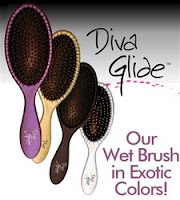 WET Wet Collection - Diva Glide Detangling Shower Brush! This amazing brush, went exotic with 4 new colors including stylish purple, gold, black, and silver! What makes this brush Unique? More color options= more retail sales! At only $5.90 wholesale, and with a suggested retail price of $12.99, the opportunity for profit is +120% with each unit sold! Don't Just Push them, Remove Them! Don't just push cuticles back, remove them! Star Nails Cuticle Remover is unbelievably effective and inexpensive! Cuticle Remover,by STAR NAIL is the your cuticles worst nightmare, and your clients dream product! The creamy pink formula is both appealing to the eye and soothing to the nail! Available in 3 Different sizes, there is a size that meets everyones needs. The 1/2 oz. is perfect for personal and retail use, as well as small stations. The 2.5 oz. comes in the perfect bottle. The pretty round bottle has a slight slant on the bottom making application effortless. This bottle is small enough to fit at any station and pretty enough to leave out at all times. The 16 oz. is perfect for refilling the smaller sizes. Instead of purchasing the smaller bottles all the time you can just refill them with the 16 oz. With all the cuticle removers out there, its hard to choose one. I have tried many different ones over the years and I have loved a lot of them. I would recommend many other Cuticle Remover along with Star Nail's, but the reason I felt the need to write about the Cuticle Remover by Star Nail is because I feel that it is the universal Cuticle Remover. It is trusted by Nail Techs and loved by clients! The rich and creamy formula is not harsh on the nail and makes the removal process quick and easy. It's not just the colors that is attractive - the price is also appealing. For such an effective product it's hard to believe that is priced so well. I absolutely love the formula of STAR NAIL Cuticle Remover! Soothe Sore Muscles and Revitalize Your Spirit with Narayan Oil! incorporated in traditional Ayervedic treatments. Add a few drops of this blend to your massage oil if a client is complaining of soreness, and feel them relax right below your hands! A necessity for sports massages, all it takes is a couple of drops to cool and soothe any aching muscles. 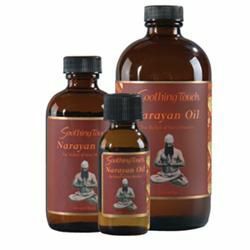 Available in 1 oz., 4 oz., and 16 oz., we have the perfect size Soothing Touch Narayan Oil for all of your needs! AYUR-MEDIC Skincare: One Skincare line… Countless possibilities! Every skin type has different needs, and finding one skincare line that can treat all your clients can be a difficult task. AYUR-MEDIC Skincare has a wide array of products for everyone, of all skin types and conditions. With AYUR-MEDIC you can effectively treat acne, rosacea, hyperpigmentation (dark spots) and fight against all the forces that age your skin! This all encompassing skin care line, was developed using a balance between holistic principles and state of the art medical research. Made with Ayurvedic herbs and proven anti-aging ingredients, each product is uniquely formulated to maximally penetrate the skin to provide optimal results. Products work to stimulate collagen production, to fill in wrinkles, prevent further oxidative damage caused by free radicals, and give a skin a healthier more youthful appearance. With 2 kids and a full time job, my "me time" is pretty limited, so I am always looking for products that will multi-task for me. Dr. Temt's Hydrophilic Oil Cleanser is the ultimate multi-tasker. 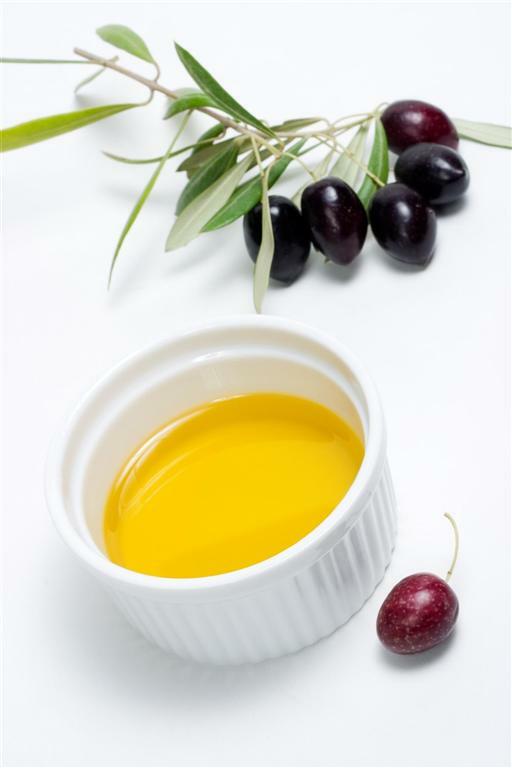 Hydrophilic oil bonds to other oily substances (i.e. makeup!) and works wonders on removing even the toughest mascara. This cleanser is the best makeup remover I have ever tried - it removes every trace of makeup while deep cleaning the skin! Our skin secretes a thick, sticky, oily substance called sebum.When skin cells die, they float to the skin's surface, and are held there by sebum. These dead skin cells congest the skin, resulting in a dull, lifeless-looking skin surface. Hydrophilic oil bonds to sebum and clears the sebum and dead skin cells away, immediately revitalizing the skin without drying it out. Releasing this dead skin layer allows for a deeper cleansing of the skin's pores. The result is bright and clear skin, all without using any drying ingredients! This formula also features Azulene oil, which has calming properties for those of us with irritated skin. Available in a 3.3 oz bottle as well as a 8.45 oz bottle, Dr. Temt's Hydrophilic Oil Cleanser is a perfect product to use during facial treatments, as well as a great retail product so your client's can continue their treatments at home! Spritz It, Spray IT, SANITIZE IT! Don't throw away your brush, just spray them! Dante Cosmetic Brush / Make-up Brush Cleaner not only disinfects your brushes, it conditions them as well, bringing both natural and synthetic bristles back to life! Ready to use anti-microbial/anti-bacterial brush cleanser, is colorless and odorless, and will not affect fragrances or make-up tints. No need to soak and dry overnight, just spray, wipe and apply, and your favorite brush will be sanitized and ready for the next application! An unsanitary brush or applicator can carry bacterias that can cause pink eye, breakouts, irritation and even infection! Why put your clients and yourself at risk, when all you need is a few spritz of Dante Cosmetic Brush / Make-up Brush Cleaner, at minimal cost. Your brush's life saver comes in 2 convenient sizes, you can bring the Dante Cosmetic Brush / Make-up Brush Cleaner - 4 oz. along with you or leave the Dante Cosmetic Brush / Make-up Brush Cleaner - 16 oz. at the salon. On top of sanitizing your brushes, Dante Cosmetic Brush / Make-up Brush Cleaner, will get rid of old make-up color that has been hiding deep inside your bristles. Just spray your brushes and wipe them on a towel or cloth and you will see color from every make-up you have ever applied, you wont believe your eyes! So start spritzing and spraying, and sanitize those brushes today! 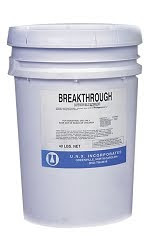 Time to Outgrow Your Ingrowns! I think we all can agree that one of the most frustrating aspects of beautification is the inevitable ingrown hair. After going through the time, effort and expended money to receive a depilatory treatment such as, say, a bikini wax, seeing those unsightly red bumps can cause any lady, or gent' for that matter, to quit waxing altogether. Exfoliation prior to the waxing service - SluffWipes! Upgrade them to a Moisturizing Wax - Greenepil! Post Depilatory Treatments - Tend Skin! For clients who have a history of Ingrown Hairs, recommend that they purchase and use Tend Skin prior to their next depilatory treatment. Advise them to apply it 2 times a day, preferably after showering and before going to bed. After the depilatory treatment has been completed, use a cotton pad to apply the Tend Skin liquid to the applicable area. Enough product should be applied so as to leave the skin damp. Advise your client to wait for the liquid to dry before he or she gets dressed, as this product may stain clothing. Retail Tend Skin Liquid to your clients. Since it takes about 1 week for an ingrown hair to form, advise them to wait one week, then apply the lotion to the treated area every couple of days. CLICK HERE to see the entire TEND SKIN Skin Care Line! No matter which part of the beauty industry you work in, the name of the game is to keep things fresh. Even your most loyal clients may start straying if they do not see some diversity in your menu options. Taking this concept to the next level, it is important to consider not only diversity in service offerings, but also Customization and Individualization of the services you provide. 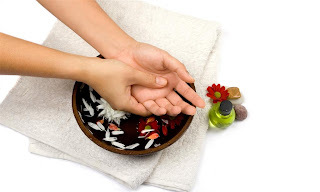 For example, many Massage Therapists will apply a specific essential oil or a blend of oils to their massage cream, so as to create a signature scent that their clients will enjoy and, ultimately remember them for. This same approach can be applied to Herbal Wraps, Eye Pads, Hydrotherapy and Pedicures with the SPA PANTRY Herbal Bag Starter Kit. Now you can create unique and custom blends of your favorite, and your clients' favorite, herbs, salts and dried flowers. These bags can be used during the different services, then retailed so that your clients can bring experience home. Your customers will appreciate your attention to detail and will show that appreciation with buying retail and returning for more treatments - A Win-Win for all! CLICK HERE to see the SPA PANTRY Herbal Bag Starter Kit! CLICK HERE to see the potential ingredients for the herbal bags! Got 99 Problems But Debris Isn't One! Finally a inexpensive way to keep your nail salon, dust and debris free! The Nail Dust Collector by Fantasea is compact, easy to use and exactly what your nail station has been waiting for! The air in your salon will not be the only one to notice the difference, your clients will to! They will notice the cleaner air and salon, but they will not notice what is causing it, since this compact vacuum is small and quiet! 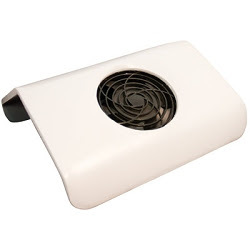 The Nail Dust Collector by Fantasea has a built-in fan that creates a vacuum effect which collects dust and debris into a disposable dust collector bag. These easy-to-use disposable dust bags make clean up a snap! Additional dust bags are also available for purchase. Not only is the clean up easy, so is the functionality! All you have to do is flip the on/off switch to get your salon air clean and free! A 4-1/2 ft. cord and 3 disposable dust bags are included. The entire The Nail Dust Collector measures 11-1/4"L x 11"W x 4-3/4"H.
So file and drill away, and let the The Nail Dust Collector take care of the rest! Point-of-Purchase displays are a fantastic way to retail products to your clients, and this new Satin Edge Starlet Collection Tweezer display truly delivers! This display features 24 tweezers in 6 designs. 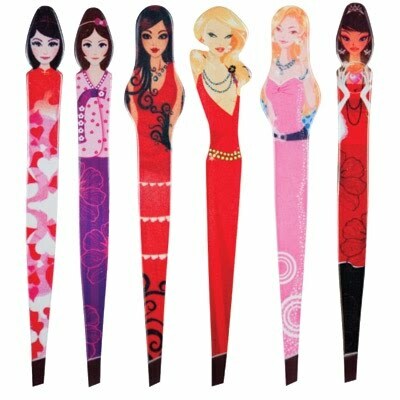 Your clients will love to tweeze, pluck, and remove all those pesky unwanted hairs with these adorable Starlet tweezers! 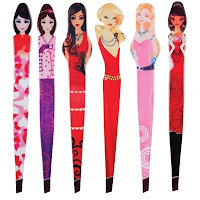 These tweezers are also perfect for including in client implement kits and client giveaways, and at $1.05 each, offer a great avenue for profit. Check them out today! Refresh Your Clients: Offer Refreshments! 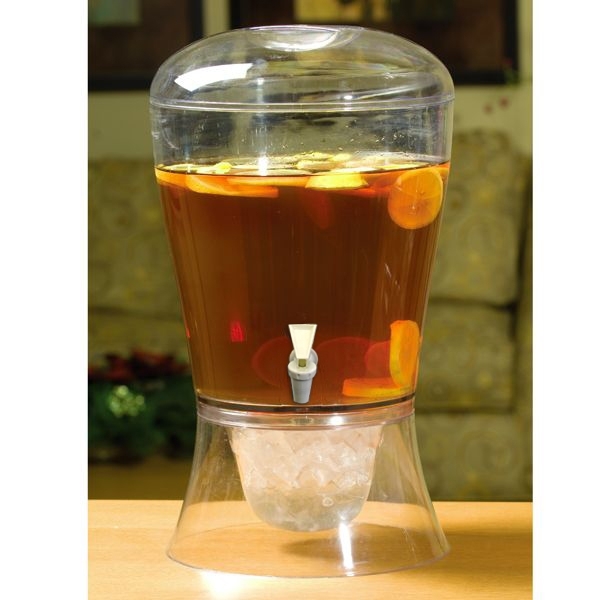 Offering your clients a refreshing drink is a nice finishing touch to your inviting spa environment, and it just got easier with our Acrylic Beverage Dispenser! 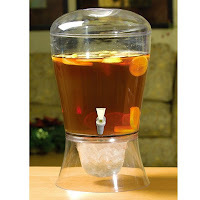 This beautiful dispenser features a stand to put ice in, so your drinks stay cold without being watered down. For beautiful presentation and added flavor, add fruit slices or herbs to your beverage. The dispenser holds 3 gallons, so it is the perfect addition to your waiting room, relaxation area, or even treatment rooms. This acrylic dispenser is stain and scratch resistant, so it will keep its beautiful finish for years to come, while refreshing your clients! What’s Hot? The Melting Pot by Spilo! 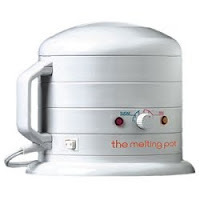 Melt away your waxing troubles with the The Melting Pot! You may use The Melting Pot with any wax brand you choose. The most compatible wax?...Anything Cirepil! Check out this amazing and top selling wax line Here! as if you were with a real client. Before you get "behind the chair", you will need some essential items to brush up on your training. Pure Spa offers a wide selection of Beauty school tools to get you ready for esthetics, styling and cosmetology boot camp. We offer the same quality tools used in fine salons across the country. Check our our complete professional make-up kits, esthetician kits, styling kits, sunless tanning kits, student shear kits, texture shears, clippers, capes, blow-dryers, rolling cases, a variety of irons, brushes, and manikin heads... with every kind of hair type imaginable! We have the Manikin Styling Buddy -- so you can simulate a real client in your chair. Pure Spa Direct offers everything you will need while in school and in your professional beauty career. We look forward to serving you! For the Nail Tech in trainee, we have the The Nail Trainer Kit. This is without a doubt the most effective training and practice tool for Nail Students and Technicians. Pure Spa Direct offers everything you will need while in school and in your professional beauty career. We look forward to serving you! The older I get the more issues I have with my skin and the more money I have to shell out to try and fix it. It is not just one problem at a time, it is multiple problems at once! From wrinkles, acne, lines, dark circles, drooping, large pores, it just never ends! I'm sure you have had many clients with the same issue, and there are only so many treatments you can perform on a client in a day. High Frequency units are the all-in-one machine for all of your clients' skin problems. High Frequency is used to kick-start the skin rejuvenation process. It enhances circulation, increase production of collagen and elastin, eliminate toxins and acne-causing bacteria, encourage lymphatic drainage, exfoliate dead skin cells, and assist with absorption of skin care products. a cleansing antibacterial action, and the skin is left feeling energized, rosy, firm, refreshed, and noticeably softer. The dilation of blood vessels pushes toxins away from the skin’s surface, and allows the skin cells to feast on increased nutrients and hydration. With High Frequency skin treatment, a chemical reaction causes the emission of ozone into the air. Ozone is a form of oxygen that has germicidal properties and is extremely beneficial for treating seborrhea or acne skin. The more oxygen that surrounds the electrode, the more ozone is formed and the greater the effect. When the electrode is lifted away from the skin surface, more oxygen surrounds it, a more intense drying and healing action occurs. High Frequency facial machines include glass electrodes which come in different shapes and sizes to treat various contours of the face and body. When applied to the surface of the skin, a mild electrical current passes through the neon or argon gas filled glass electrode causing it to emit a subtle glow. High Frequency electrodes produce either a neon orange or violet colored glow depending upon the inert gas that they are filled with. We have found that both colors produce equally effective results.